You can't beat a good handmade soap. These look so delicious, Kim!! I love the design and packaging. Happy new week doll!! That bubble bar looks amazing! Can't wait to check out this website. Um I kinda want to eat that cupcake one, haha! It looks tasty! Even though I know it's just soap! That all looks really beautiful and super realistic haha! Great post. Oh, these look good enough to eat! Scents I would love too. Particularly the pink berry. The packaging is beautiful too. 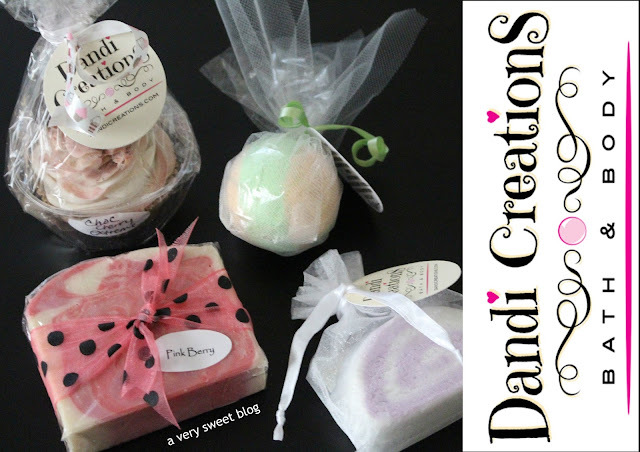 I love a good bath product and there is definitely something extra special about handmade ones. These sound like such wonderful treats for your skin and I can't get over the super adorable product shapes. I'd love to try the Bubble Bars. They look and sound amazing Kim! This is the first time I've heard of a bubble bar and I have to say, I love the sound of it! And that cupcake soap looks like a piece of art, it's so beautiful that I would never want to actually use it. Everything looks so cute! Nice bath products! I'd love to get the Cherry Almond Soap bar. Hi Kim, handmade soaps are the best and these sound really nice. I've yet to try the products, but I love the look/sound of the Spellbound cupcake. I haven't tried these but they look good! These all look wonderful! The cupcake one is so cute, I could eat it! Great post, loving the gifs too! OMG These products are so cute! I would love to try a bath bomb! You are amazing Kim and thank you so very much for the awesome review! I must say I am looking forward to the fall and cool weather so I can start taking baths again and these sound great. That soap bar sounds amazing. The lavander bath bar would be relaxing! Oh, my everything looks so cute and adorable. I love handmade, there's always attention to details and made with love. I think I can even smell that cupcake soap. So pretty. I love that you have used gifs, it makes it so much easier to get a sense of the product, such a great idea! These products look so creative. Amazing what they can create. I'll take the cupcake soap - how sweet! I wouldn't use it either! All these look so amazing Kim! I'm a sucker for bath products. The soaps look so cute! And I've definitely had bath bombs that disolve way too fast and you can enjoy them! you are so awesome to do this giveaway! I don't know which product is my favorite because I've never tried these, but I can bet it would be the bath bomb! 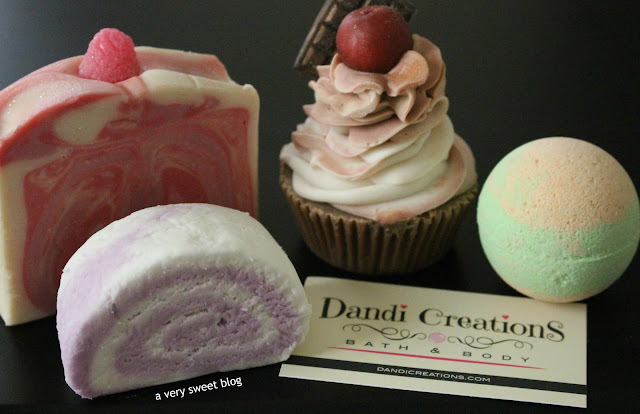 These look so delectable...almost good enough to eat:) I enjoy bath products, thanks so much for sharing. They look so real...I can almost taste them, Kim! Good luck to all the participants! It takes me forever to finish a bar of soap. Haha. I am not sure I could use the cupcake soap ! Its just soooo pretty ! Ugh these are so beautiful! Talk about artistry. I love Lush alternatives like this and the Pink Berry soap sounds like it needs to be mine RIGHT NOW :X Raspberries are probably my favorite fruit so needless to say I already know I would love it. That hand made soap is amazing...so pretty! I really love that pink berry soap! !